Unique piece of Quincy History! Greek Revival style home with Queen Anne inspired front porch. 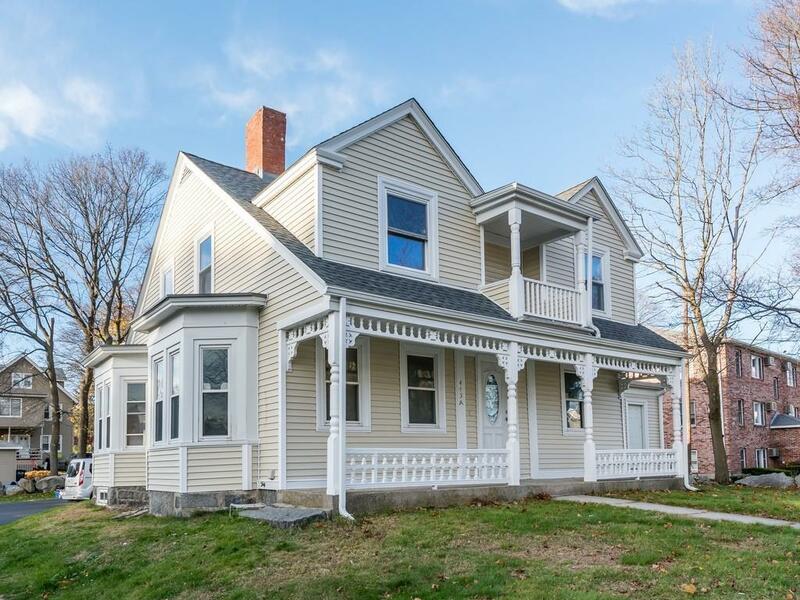 Once a large farm and then home to a granite stonecutter, this 4 bedroom, 1 bath home has 3 beautiful decorative fireplaces and hardwood flooring throughout. Step back in time with a formal dining room, living room, family room plus office/den and 3 season sunroom. Two deeded off-street parking spaces are included. Located near the new South West middle school scheduled to open in the fall, 2019. Ideal commuter location with easy access to Rte 3 and Rte 93, less than a mile walk to the Quincy Adams MBTA station or take the 238 Bus right at the corner to the station. NO MONTHLY CONDO FEES, just master insurance $887.33 billed annually! Listing courtesy of Deborah Riley of Compass. Listing provided courtesy of Deborah Riley of Compass.